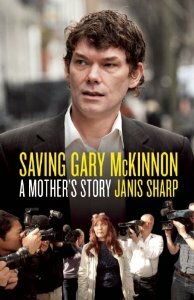 Many of you will be interested in what Gary McKinnon is up to these days, after his long extradition saga. Hi, my name is Gary McKinnon, I have over 20 years experience in IT, with roles in programming, network implementation and support, business and domestic internet support, website coding and technologies and search engine optimisation. My aim is to provide high-quality SEO to small businesses and individuals. All of my clients have so far reached the first page of Google search results for their primary keywords, you can check this and even contact some of my clients via my portfolio page by clicking here. Most of my clients have small websites which means their total cost for my SEO service is low. I charge £40 per hour, with most clients only needing five or six hours of work on my part, and taking around two or three months to get to page one for their products or services for a total cost of £240. The increase in traffic to your website and sales from that traffic is a great return on a small investment. I guarantee that I stick to the guidelines set by the major search engines. I don't use techniques that result in your website falling out of favour, and this ensures your long-term, high-quality ranking on Google, Bing and Yahoo. Please click here to see what you get with my UK SEO company package. In theory this gives Judges the discretion to apply common sense and to determine if it would be in the interests of justice to hear a dual jurisdiction case in the UK or in a foreign court, something which the Extradition Act 2003 prevents them from doing. It is hard to say whether or not this would have made any difference, if this had been in place in 2002 when Gary McKinnon was arrested or subsequently in 2003 when the ex post facto Extradition Act 2003 was applied to his case retrospectively, there is still too much scope for secret backroom deals between foreign prosecutors and the technologically inept and under resourced Crown Prosecution Service. N.B. Although section 50 which simply calls the above Schedule 20, is on the Statute Book, it is not yet in force until it is Commenced by Order. The previous Forum Bar amended legislation section 19B and section 83A was also enacted (in 2006), but never brought into force, by the previous or current Governments. Whilst introducing the Second Reading of the Crime and Courts Bill, Home Secretary Theresa May announces that the Government intends to use it to amend the Extradition Act 2003 to include a Forum Bar and to further distance the Home Office from meddling in human rights appeals. An Extradition Forum Bar should have allowed the trial of Gary McKinnon, the NatWest 3, Babar Ahmad, Christoper Tappin, Richard O'Dwyer etc. here in the United Kingdom rather than in the USA , but until the details are published, it is too early to welcome this news very much. There is already Forum Bar legislation in the Extradition Act 2003 (section 19B and section 83A) on the Statute Book, introduced by the House of Lords in 2006, which has deliberately never been brought into force by the previous Labour or current Conservative / Liberal Democrat coalition governments, who have never bothered to explain why not..
Mrs May: I thank my hon. Friend. Court the Home Secretary's responsibilities for considering representations on human rights grounds. I have decided that we should seize the opportunity provided by the Bill so that we can give effect to the changes as soon as possible. As a result, the US sought Mr McKinnon's extradition from England and Wales for trial in the US. The decision that the appropriate place for Mr McKinnon to be tried was the US was affirmed in 2009 and subsequently challenged in the High Court. That challenge failed. As Lord Justice Stanley Burnton said in his judgment: "... [it is] the decision of the DPP, which I consider to be lawful and unchallengeable, not to prosecute him here ... the USA is the appropriate forum for his prosecution." The announcement on Tuesday 16th October by Theresa May, the Conservative / Liberal Democrat coalition government Home Secretary, that Gary McKinnon will not be extradited to the USA. This is a huge relief, and to be honest, a surprise, to some of us who have been campaigning for this for years. We wish Gary and his family all the best. Thank you to everyone who has supported this campaign over the years, by lobbying politicians and by airing the issues of cybersecurity, extradition law and the treatment of autistic people, with the mainstream media and online. The Daily Mail newspaper has been (to many supposedly "liberal" minded people's astonishment) a staunch supporter of the campaign to stop Gary McKinnon being extradited to the USA. Technically, the Director of Public Prosecutions, could continue to flounder in the mire of the Crown Prosecution Service's embarrassment, by reversing his previous arguments that there is insufficient evidence to prosecute Gary in the UK - the root cause of this whole debacle. It would be extraordinary if that were to happen now. Theresa May has also vaguely promised some "new" forum bar changes to the evil Extradition Act 2003. As with all politicians' promises, which we have learnt to be extremely cynical of over the course of this campaign, we need to see the full detail of exactly what is proposed. Will this really be something new, or will it be the Commencement of the already existing (but deliberately left dormant for over 6 years in defiance of the the will of Parliament) Extradition Act 2003 section 19B (European Arrest Warrant etc. category 1 countries) and section 87B (which applies to category 2 countries like the USA) ? Until this mess over forum bar and Extradition is properly reformed, then the Kafkaesque political and judicial bureaucracy will betray other British victims of injustice, such as the student Richard O'Dwyer, who is facing extradition to the USA, for alleged internet activities which are not illegal in the United Kingdom. Will anyone in Whitehall and Westminster be held accountable over the injust imprisonment without trial and extradition to the USA of, for example Babar Ahmad and Talha Ahsan ? 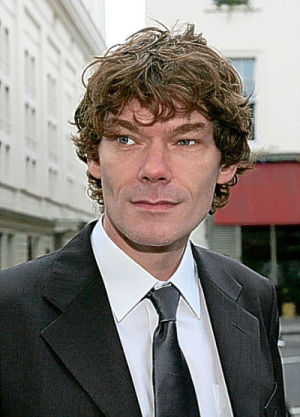 Will Home Secretary Theresa May finally show some mercy to Gary McKinnon tomorrow ? Tomorrow afternoon, on Tuesday 16th October 2012, Theresa May, the 6th Home Secretary who has been dithering over the Gary McKinnon extradition case over the past 10 years is supposed to announce her Decision. There have been stories in the weekend newspapers regarding Yet Another Medical Report which says that Gary is not mentally fit to be extradited, but these have been ignored by the Home Office before. The Home Office and the increasingly untrustworthy UK judicial system has succeeded in (temporarily) relieving itself its incompetent embarrassment of the Babar Ahmad extradition case, by deliberately mixing it in their political media spin up with that of the entirely separate case of the notorious Abu "The Hook" Hamza. We fervently hope that tomorrow will bring this ordeal to an an end, for Gary McKinnon, for his family and supporters and for the rest of the people in the United Kingdom who risk being treated in the same appallingly Kafkaesque way, by the uncaring, unpatriotic, bureaucratic system which seem to have infected Whitehall. Will Theresa May show that she can apply the British sense of fair play, common sense and mercy for Gary McKinnon, or will she betray all the pre-election promises made by the Conservatives and the Liberal Democrats ? We would like to thank all the people who have taken the trouble to send Gary messages of support and those who have lobbied their elected politicians on his behalf. Theresa May, the home secretary, is under pressure to block the extradition of Gary McKinnon, who is wanted in the US over computer hacking charges, after a review of the treaty between the UK and US that was ordered by the deputy prime minister had urged that it be scrapped. The review, commissioned by Nick Clegg and undertaken by the former Liberal Democrat leader Sir Menzies Campbell, insists that the current extradition treaty overly favours America. The finding directly contradicts the Scott Baker report ordered by May last year, which concluded that the Extradition Act was not biased, even though nine times as many Britons have been extradited as Americans. Clegg was a staunch supporter of McKinnon while in opposition, although he has since been criticised by the 46-year-old's mother for failing to help her once he was in government. Campbell's review, however, makes it clear that the extradition treaty enabling McKinnon's removal should be reformed by the government in the interests of public confidence. At the moment, "probable cause" has to be shown before a UK request for extradition of an American citizen will be granted. The reciprocal test for Britons is "reasonable suspicion". The Scott Baker review concluded that there was no practical difference, but, in an online article for the Observer, Campbell, who is a QC, says: "With that conclusion I respectfully disagree. To put the matter as simply as I can, one may have a 'suspicion' that someone has committed a crime, but that is a different and lower standard than being satisfied that it is 'probable' that a crime was committed by that person. "The proper course should be to raise the British standard to the American one, so that UK citizens do not suffer a disadvantage compared to their US equivalents." May must make her decision on the McKinnon case by 16 October. In July, his mother pleaded outside court for the home secretary to "show a little bit of compassion" and rule sooner, but the appeal was rejected. If May allows the extradition to go ahead, McKinnon's lawyers are expected to apply for a judicial review to challenge that decision. Campbell has presented Clegg with his review and it is likely to be discussed publicly at Liberal Democrat conference next week. May is due to set out the government's thinking on the extradition treaty by the end of the year. This review by Sir Menzies Cambell might be influential but is not binding on either the Liberal Deomcrats or the Conservative partners in the Coalition government. The silence of the Labour party on this matter is also noteworthy and should also be probed - would they support such reform to the UK-US extration treaty and the repeal or reform of their notorious Extradition Act 2003, which has caused such injustice to so many people, regarding extradition without prima facie evidence to both the USA and to the European Union ? Download our PGP Public Encryption Key, if you want to make use of it to send us anything confidential. If you are a tv or radio or print journalist, or a freelance writer or documentary film maker, wanting to interview Gary, please include some full contact details and a contact phone number, and we will pass on your request to Gary's family. Please also take some basic computer security and anonymity measures (e.g. Information Security for Journalists) to protect your current or future confidential sources, as you and they will inevitably be swept up by the electronic communications monitoring of Gary and his contacts by the NSA , GCHQ, FSB and other intelligence agencies around the world, which will probably continue indefinately.